Wildlife Mississippi’s early leadership believed that conservation should occur on both public and private lands. They recognized that 75 percent of Mississippi’s wildlife habitat was on private lands and that very little effort was directed toward these lands. They believed that innovative tools and resources would encourage good stewardship of private lands. Since its inception in 1997, Wildlife Mississippi has worked with U.S. Congress and federal agencies to develop and expand important private-lands conservation programs of the federal Farm Bill and other programs, and it has promoted tax incentives to encourage conservation on private lands. We are working to ensure there is adequate funding for federal conservation programs such as those affecting freshwater fisheries, National Wildlife Refuges and other public lands, and habitat restoration programs along the Lower Mississippi River. And we work to ensure that Native American tribal lands are eligible for participation in Farm Bill conservation programs. Wildlife Mississippi works to improve the implementation of various Farm Bill programs, especially the Wetlands Reserve Program (WRP), the Wildlife Habitat Incentives Program (WHIP) and the Healthy Forests Reserve Program (HFRP). We do that by educating key decision makers about barriers to the utilization of these programs. WRP is one of the most important programs for the conservation of fish and wildlife resources in Mississippi and throughout the Lower Mississippi River region. Of the approximately 2.7 million acres enrolled in the program nationwide, nearly 700,000 acres have been in Mississippi, Arkansas and Louisiana. Many counties in Mississippi have hit a 10 percent county cap for wetland easements. To create more opportunities for private landowners, Wildlife Mississippi worked with other conservation organizations and persuaded Congress to exempt certain wetlands (the least productive areas for farming) from county caps. The exemption will allow more frequently flooded farmland to be returned to bottomland hardwood forests and other ecologically valuable wetlands. Wildlife Mississippi also worked to change other restrictions limiting the amount of land that could be enrolled in Wetlands Reserve easements. 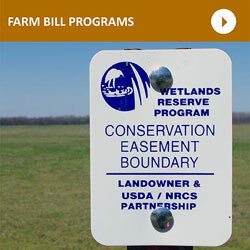 The 2008 Farm Bill limited participation in Wetlands Reserve to landowners who have owned their land for seven years or longer. This provision reduced opportunities to enroll critical wetlands in the program. Wildlife Mississippi worked to ensure that the 2014 Farm Bill eased this restriction and instead required a two-year period of ownership. Until the end of 2013, landowners could take an enhanced tax deduction by donating a conservation easement to a land trust or conservation organization. An easement is a legal agreement that permanently limits uses of land to protect its ecological values. It allows landowners to continue to own and use their land, sell it or pass it on to their heirs. Enhanced tax deductions, enacted by Congress in recent years, had significant benefits to Mississippi landowners. They allowed landowners to deduct up to 50 percent of their income in any year, rather than the previous 30 percent. They allowed qualifying farmers and forest landowners to deduct up to 100 percent of their income. And they increased the number of years over which a landowner could take deductions from six years to 16 years. 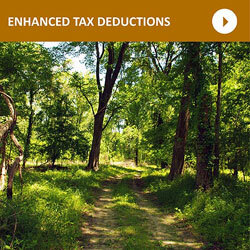 In response to the expiration of enhanced deductions, Wildlife Mississippi is working with the Land Trust Alliance, the Mississippi Land Trust and other conservation organizations to restore these changes and make them a permanent part of the federal tax code. 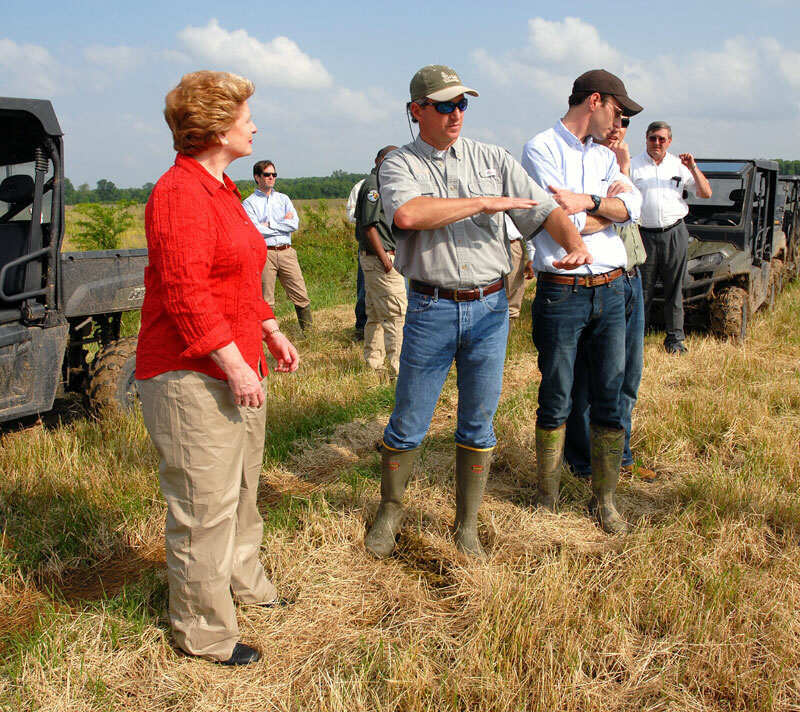 By placing a premium on the donation of easements, these tax incentives bolster voluntary land conservation while protecting the heritage and livelihood of farmers and forest landowners. They also level the playing field for landowners with moderate incomes, allowing them to realize deductions proportionally similar to those experienced by donors with much higher incomes for the same type of donations. 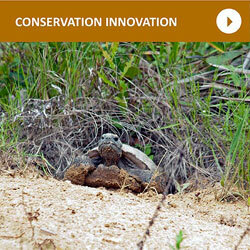 Wildlife Mississippi strives to promote innovative conservation policies. That often means allowing more private landowners to implement conservation practices while at the same time maintaining economically valuable land uses. Wildlife Mississippi, for example, is proposing the establishment of a pilot Endangered Species Reserve Program to provide incentives for private landowners to conserve habitat for endangered, threatened or declining species. Such an approach would focus on lands where species recovery can realistically occur and would augment conservation efforts on public lands. It would also allow compatible land uses, protect landowners from certain penalties and provide landowners more stability for making economic decisions. Species that could benefit include the Mississippi sandhill crane, gopher tortoise, Mississippi gopher frog and Alabama red-bellied turtle. A pilot program affecting 10,000 acres would be established in the coastal regions of Mississippi and Alabama in partnership with state wildlife agencies. The program would be administered by the U.S. Fish and Wildlife Service and Wildlife Mississippi. Its goals would be to sufficiently recover species so as to allow their removal from endangered or threatened lists or prevent federal listing. Landowners would receive one-time payments for 10-year, 30-year or perpetual conservation easements as well as payments to cover the cost of habitat improvements. Similar federal easement programs administered by the Natural Resources Conservation Service, such as Wetlands Reserve Easements and the Conservation Reserve Program, have been successful at restoring bottomland hardwood forests and highly erodible land in Mississippi and other states.